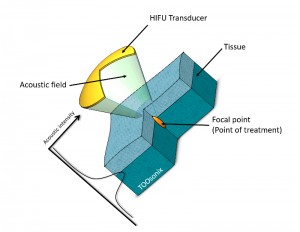 TOOsonix has developed a HIFU-based method and a device operating at significantly higher frequencies than the approximately max 10 MHz available to medical practitioners and researchers today. 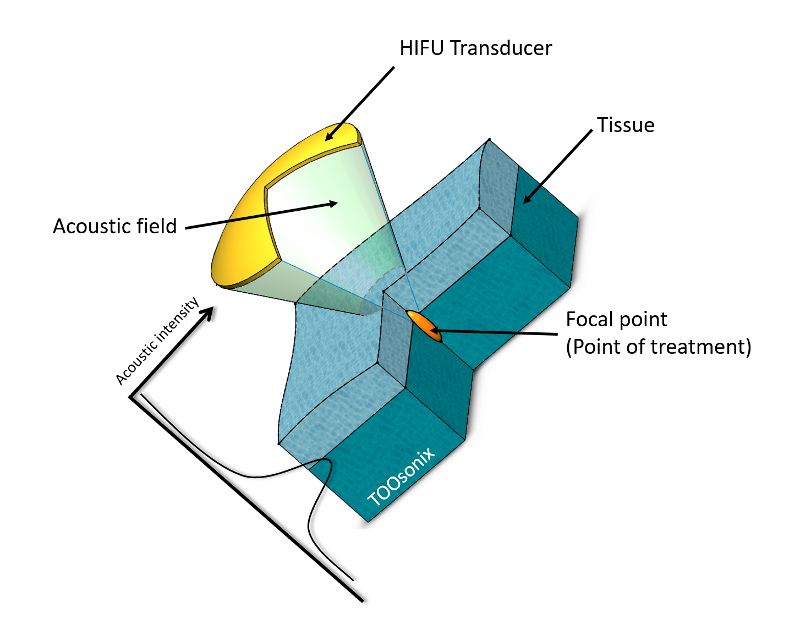 HIFU (High Intensity Focused Ultrasound) is a new and rapidly growing field in medical therapeutics, that has proved to be extremely successful in treating an increasing range of diseases and conditions from various cancers and Parkinson’s decease to purely cosmetic procedures. Many of these treatments were previously either impossible or extremely expensive to perform, but can now be done non-invasively and without hospitalization. The focal point can be created inside the body without surgical procedures etc. Growing cells are less resistant to heating, and doctors are therefore able to selectively target growing malignant cells. Highly efficient non-invasive procedures can therefore be performed without the need for anesthesia, pharmaceuticals or hospitalization.